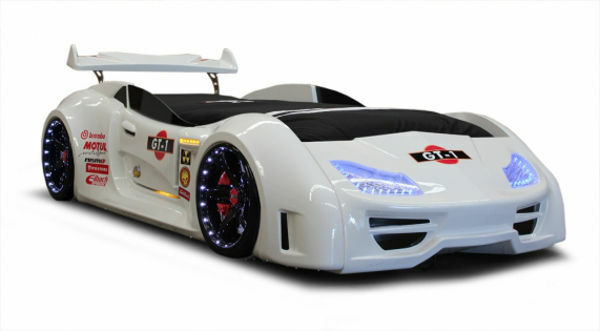 What child would be able to resist bedtime if a GT-1 was parked in their room? 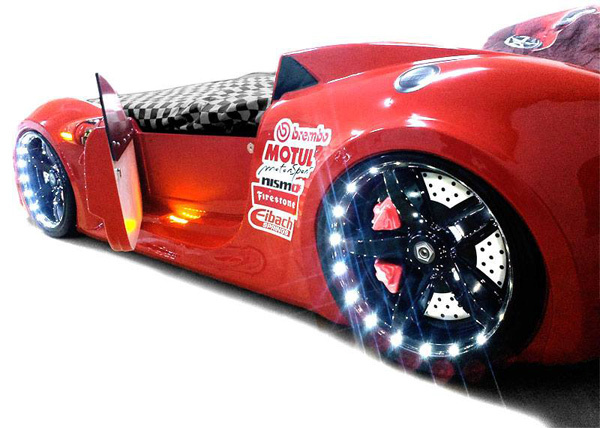 This ultra-cool bed is the latest bedroom speedster in the Fast Car Beds range. And if you think it looks like the real thing, it’s because it’s made from the same material as luxury cars. 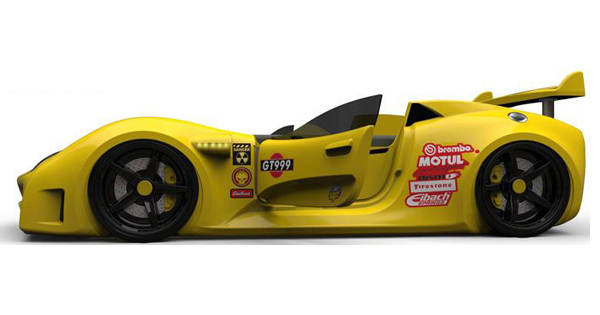 The GT-1 looks amazing. Sleek and stylish, it’s the ultimate in car beds. It even has doors that open – and LED headlights, wheel lights and under door lights. No need for a night light! The bed is made in Europe from medical grade ABS Thermoplastic – which is the same stuff luxury car body kits are made from. 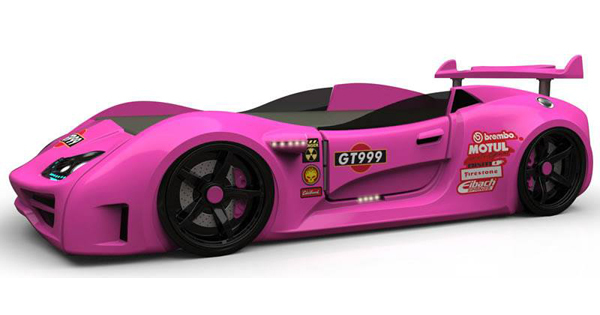 It comes in a host of colours to suit any little racer – yep, even Penelope Pitstop pink – and costs $1549 plus freight, from Fast Car Beds.